Custom manufactured clad composite wire that is biocompatible, strong, and corrosion-resistant for use in fabricating implantable medical devices is available from Anomet Products of Shrewsbury, Massachusetts. 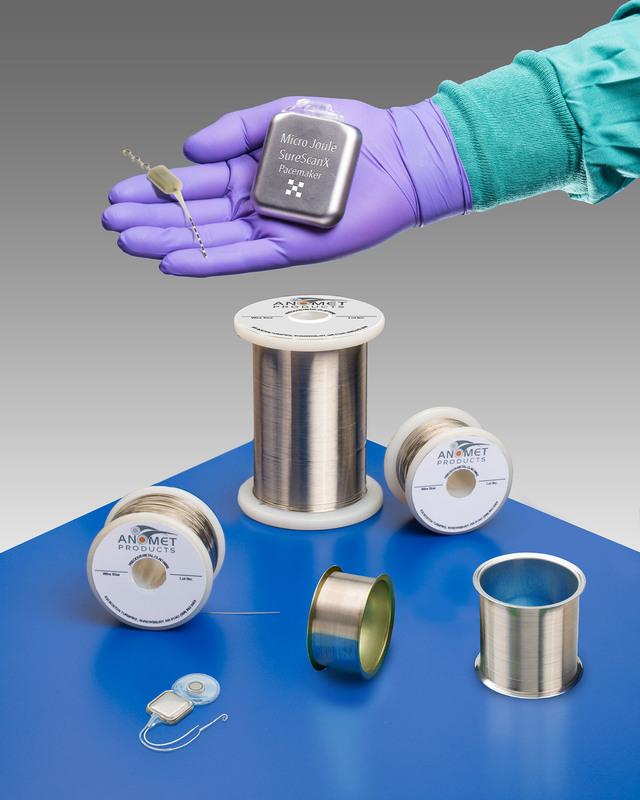 Anomet Platinum-Clad Tantalum Wire combines the properties of each alloy to provide a biocompatible, high-strength, and corrosion resistant radiopaque wire for use in short-term and long-term implantable medical devices. Suitable for coils, electrodes, leads, and sensors, this conductive wire can be made in sizes from .002” to .125” (.05mm to 3mm) O.D. with 2% typical cladding thickness. Providing greater ductility and formability than filled or plated wire, Anomet Platinum-Clad Tantalum Wire is suitable for use in deep brain neuro-stimulators, Cochlear implants, gastric stimulators, insulin pumps, cardiac defibrillators and pacemakers. Platinum-Iridium Clad Tantalum and other clad wire material combinations and different cladding layers are offered. Anomet Platinum-Clad Tantalum Wire is priced according to configuration and quantity. Samples and pricing are available upon request.